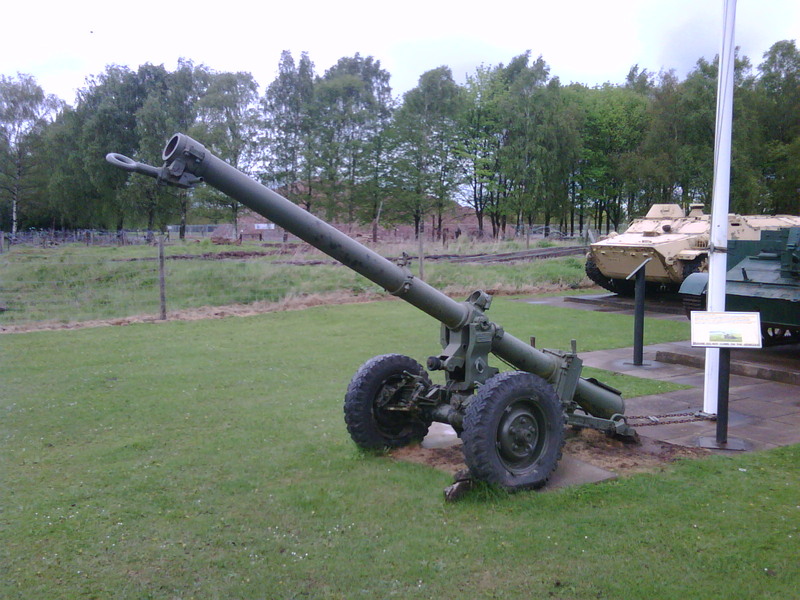 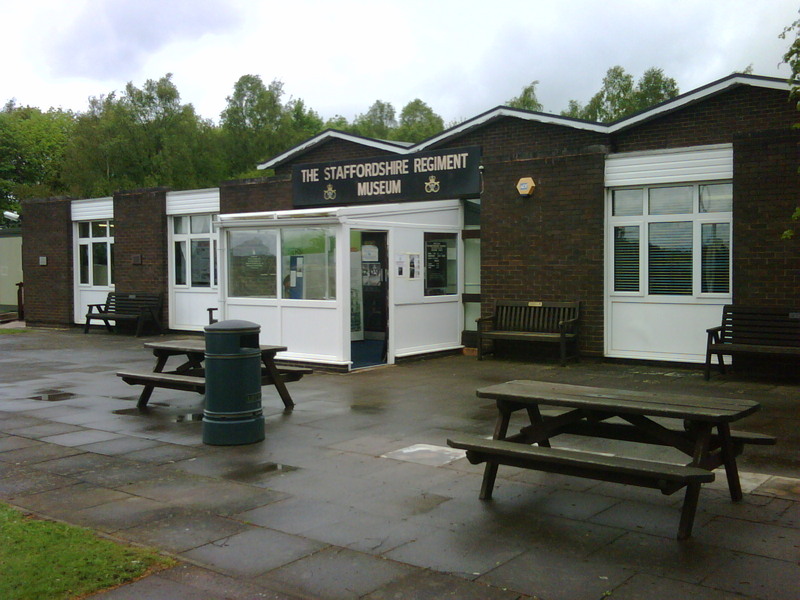 The regimental museum covering the North and South Staffordshire Regiment, is located just off the main road and is separate to the main barracks. 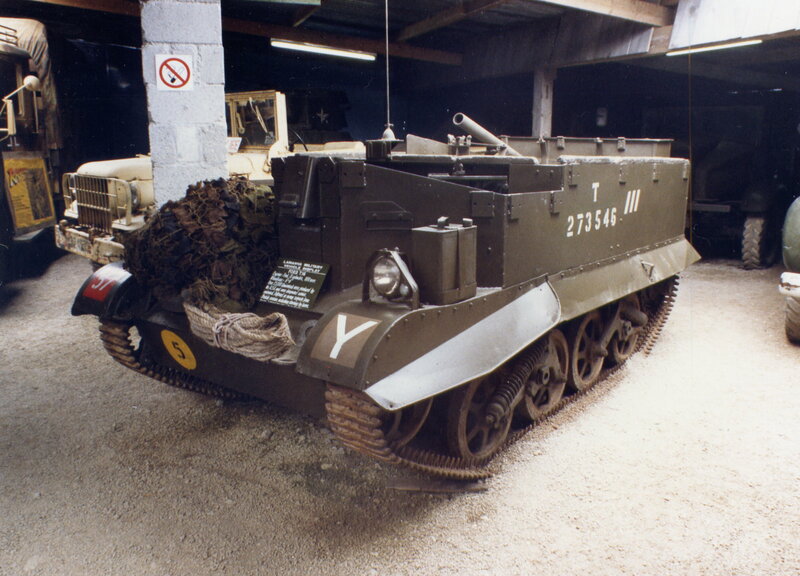 Outside are a number of vehicles including a Ferret Mk2, an FV432 and best of all, to me anyway, a Ford T16 Universal Carrier. 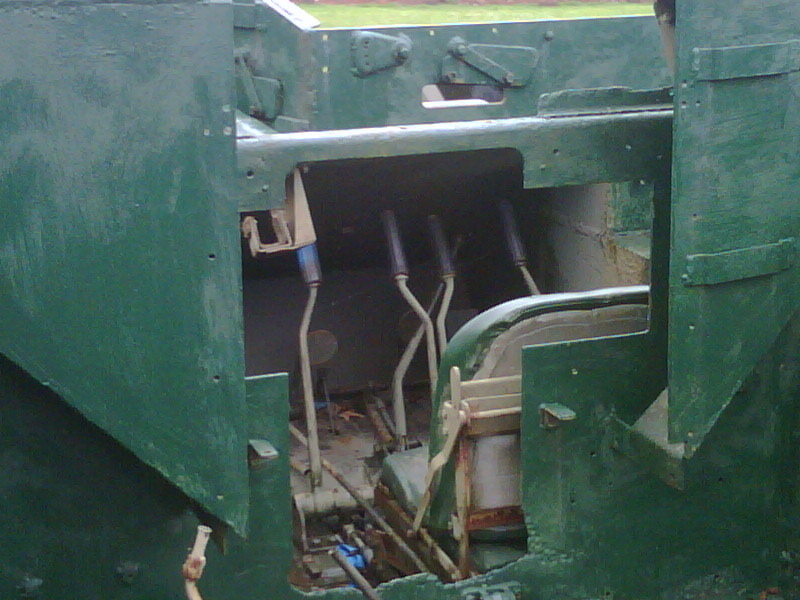 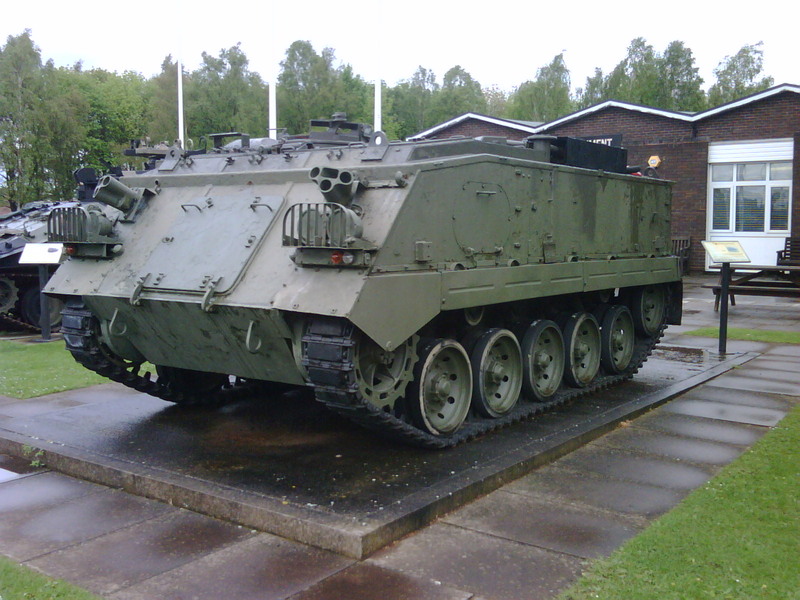 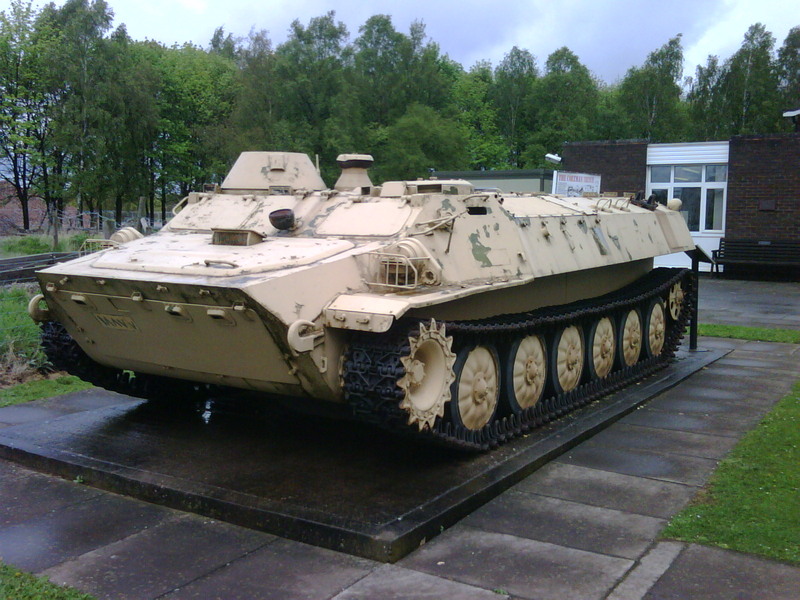 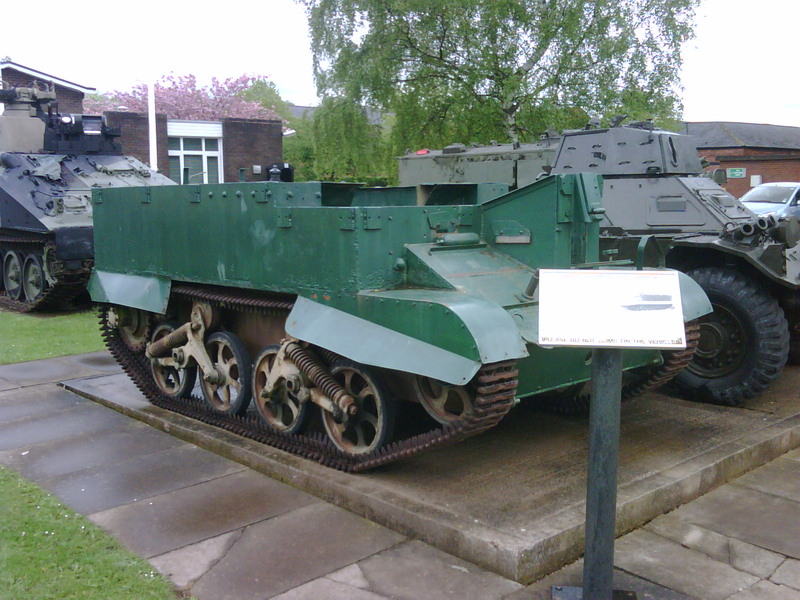 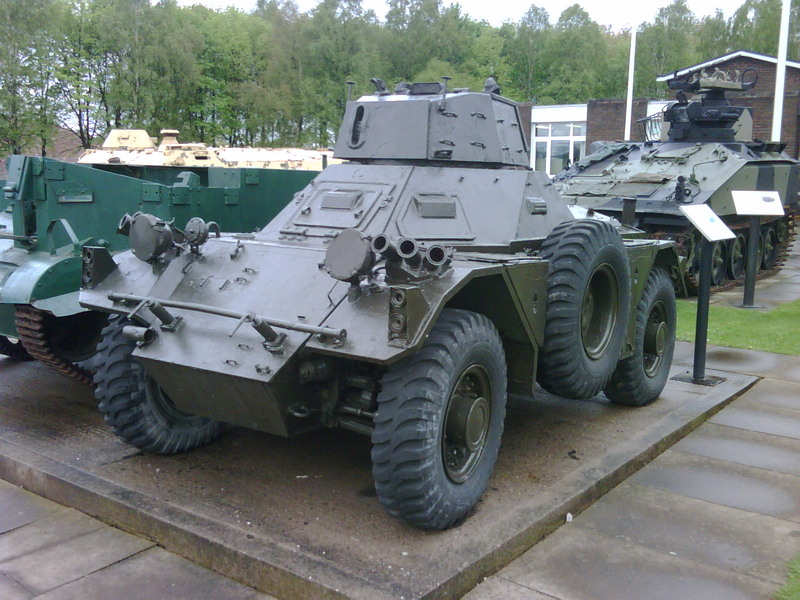 They also have a Spartan CVRT APC, a Wombat anti-tank gun of the 1970′s and a captured Iraqi MTLB from the 1st Gulf War. 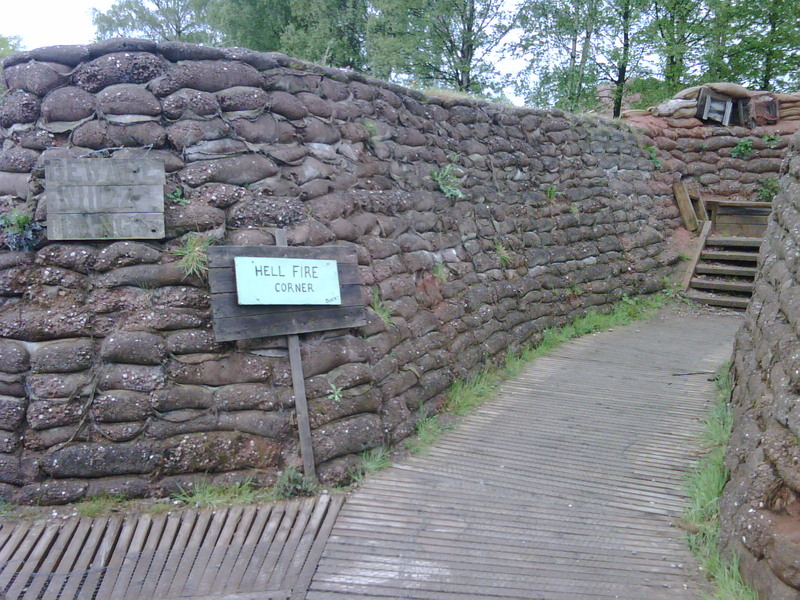 None are fenced off so you can go and ‘touch an MV’. 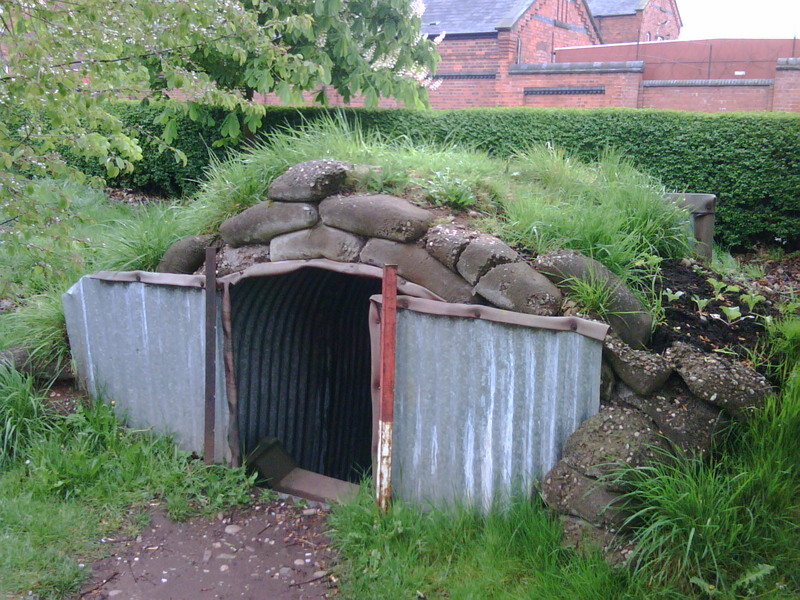 One remarkable project at the side of the museum is a 100 metres of a First World War trench system. 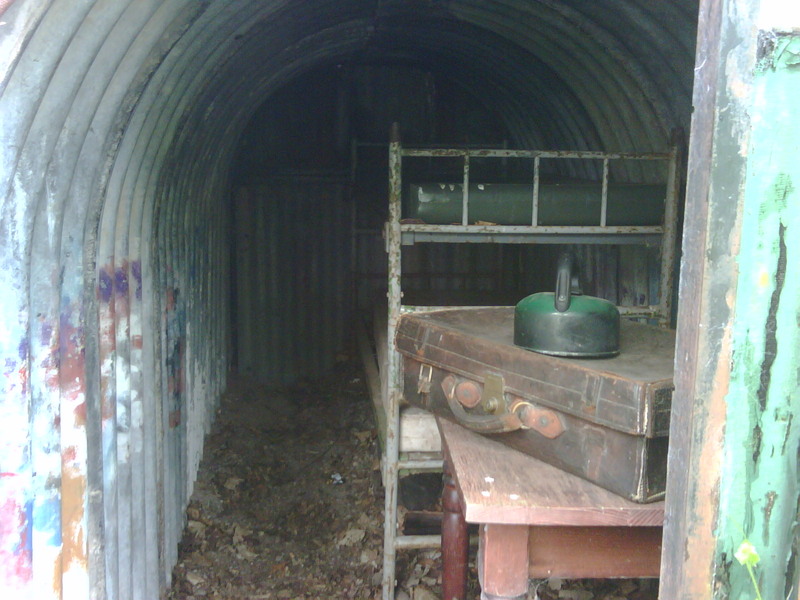 To walk into it and along is quite an experience. 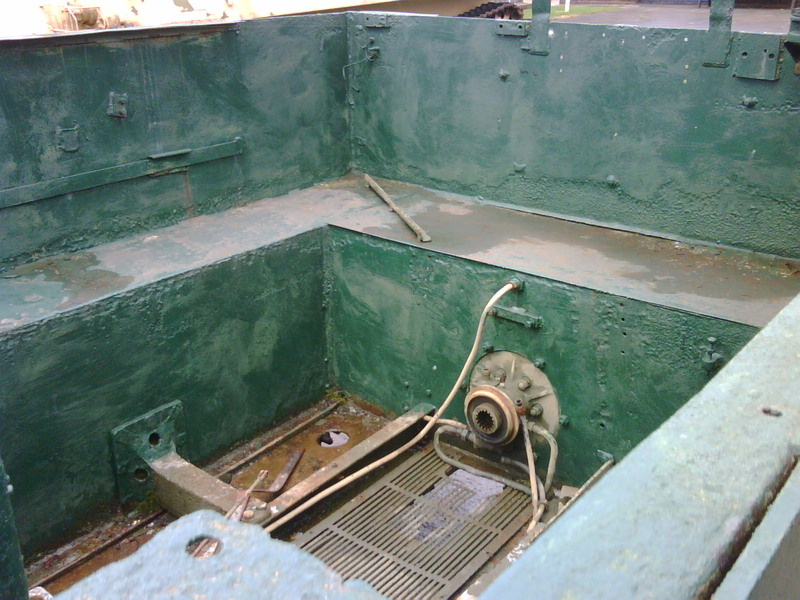 The floor is covered in wooden duckboards which has then, rather cleverly I thought, been covered in chicken wire to stop you slipping. 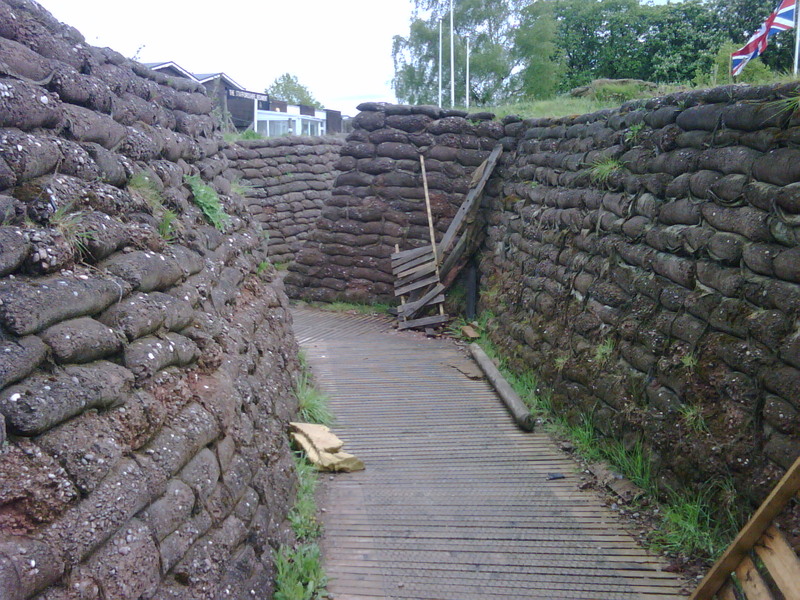 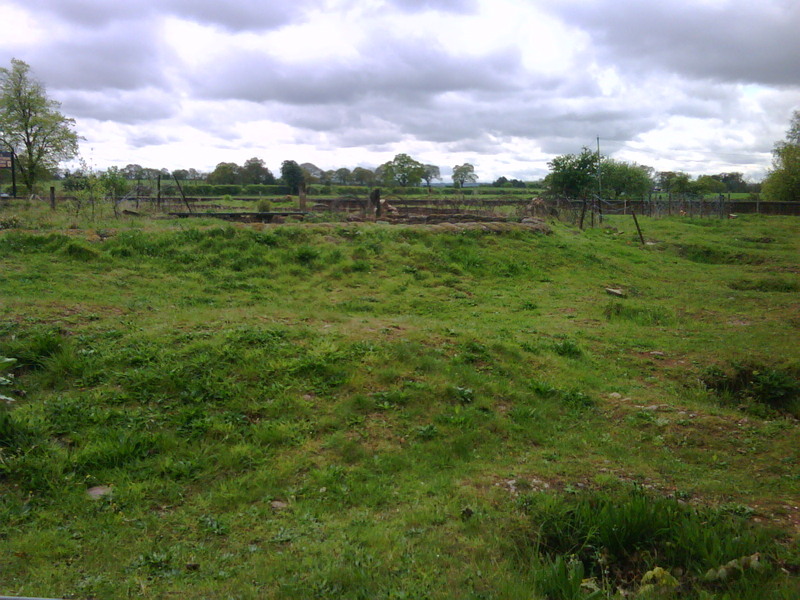 The sides are lined with sandbags and as you walk along, you experience various parts of trench life, such as an officer’s dug out, a firing platform, a sniper’s lookout. 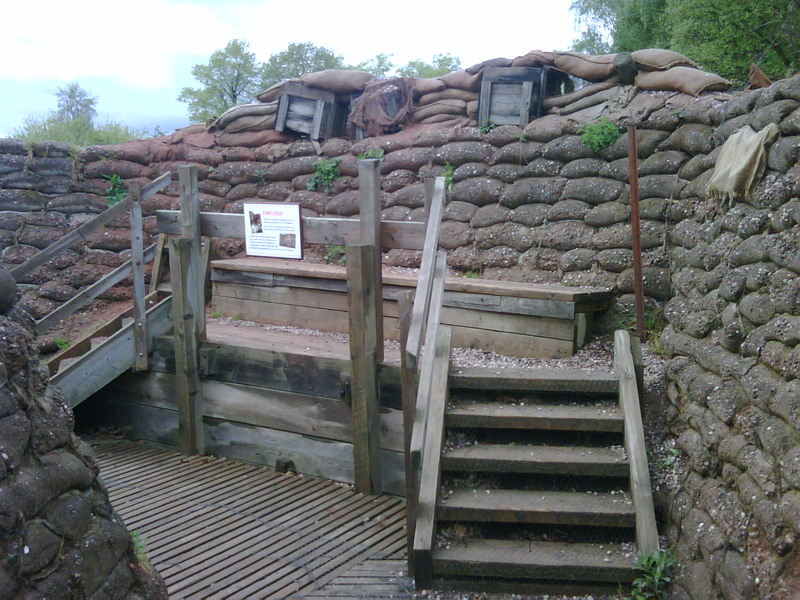 The museum has a number of events planned in the trenches throughout the year from reenacting a night in the trenches in November to Christmas carols later on. 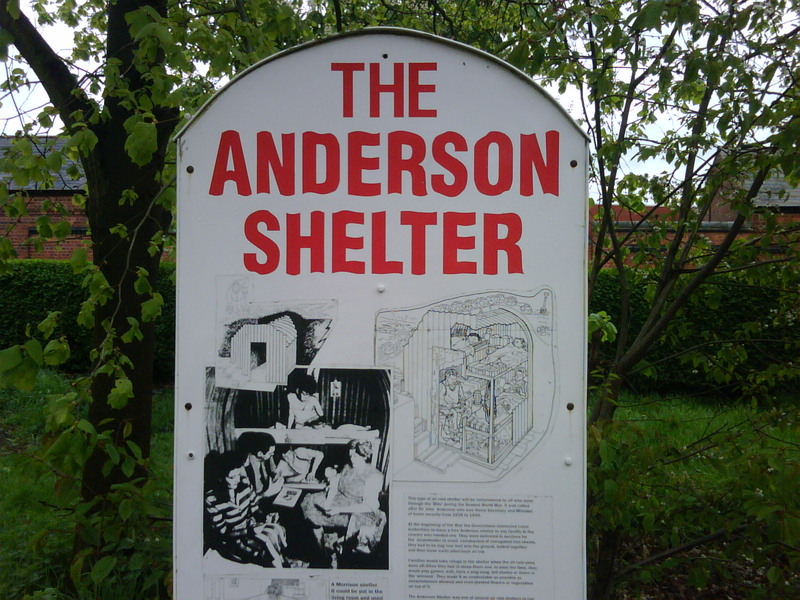 On the other side of the museum are two different Anderson shelters from WW2, each with furniture inside. 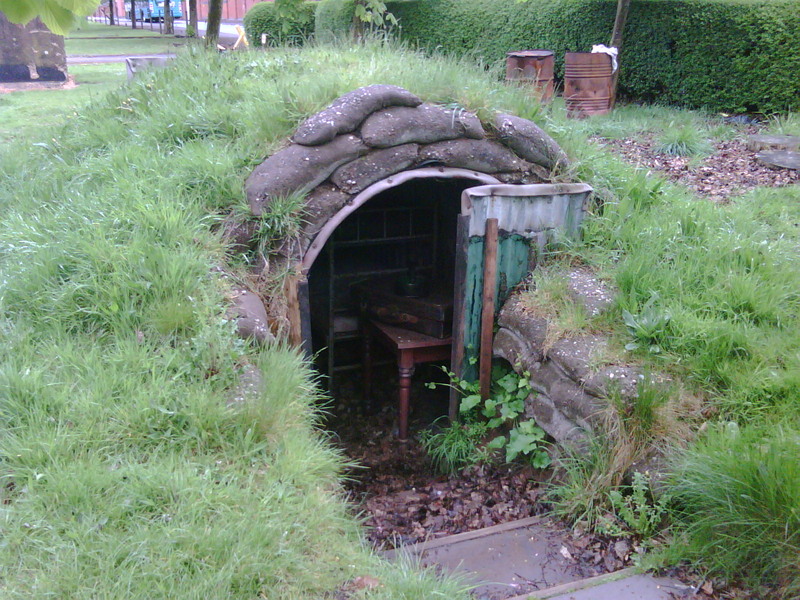 When you look inside and imagine how damp and cold they would have been on a winter’s night, it certainly opens your eyes. 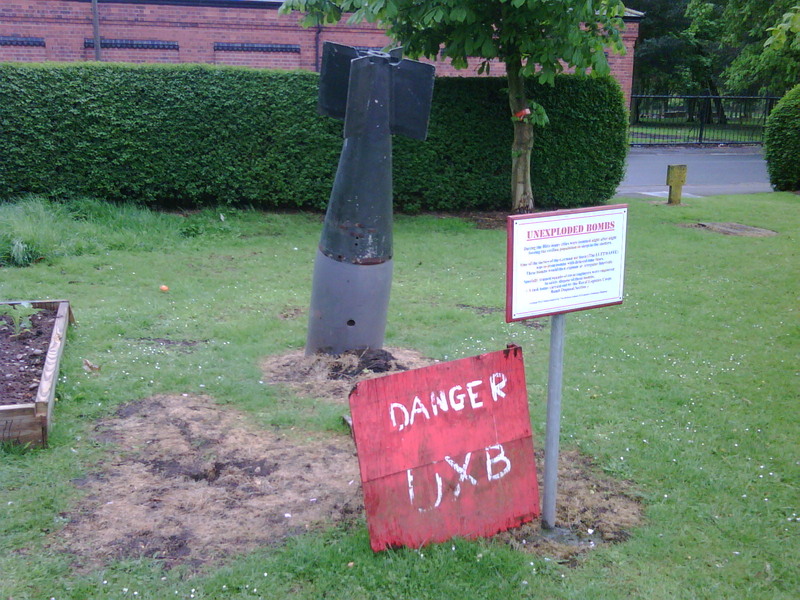 They also have a dummy UXB (unexploded bomb) sticking out of the ground which gives atmosphere. 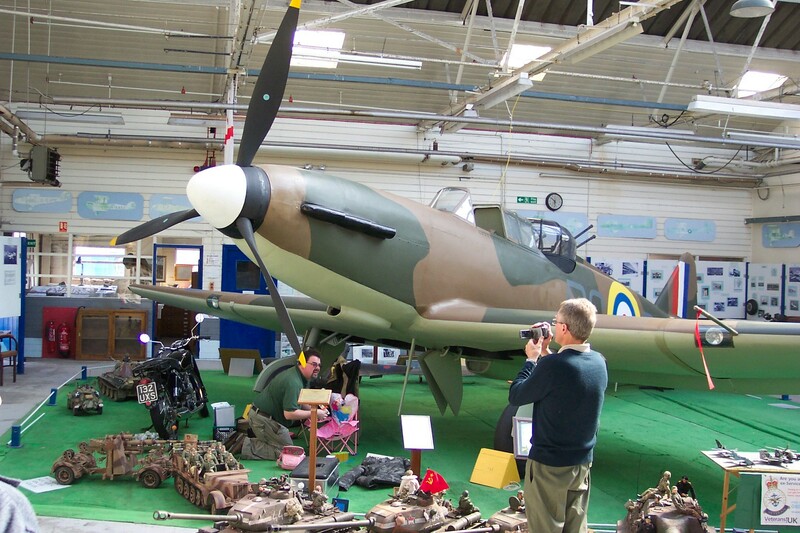 The museum links in with schools and presents a wonderful opportunity for the history students to experience things at first hand. 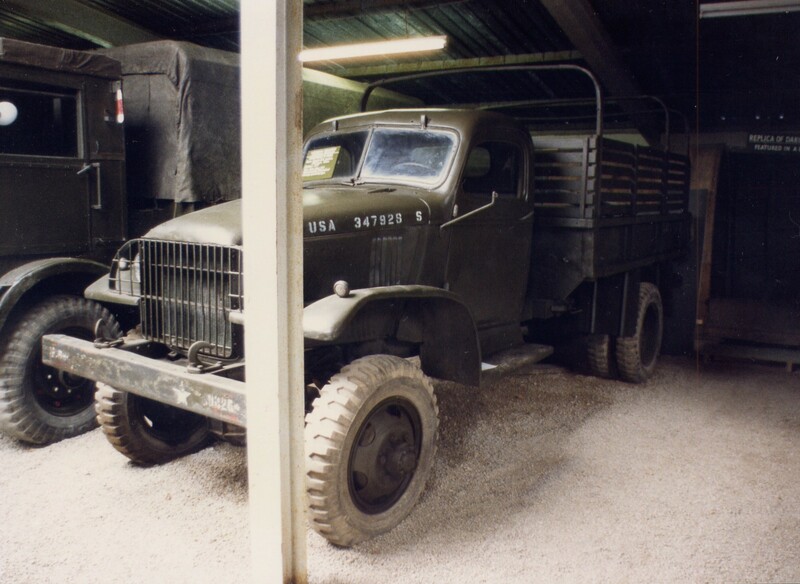 Now we move inside the museum and are greated by very friendly staff and are most helpful in answering any questions you have on the exhibits. 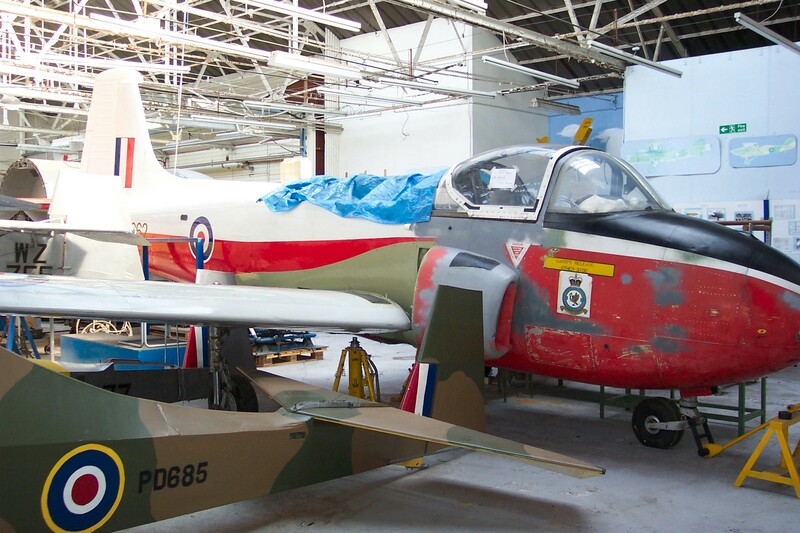 The museum is split into a number of displays relating to various periods of the regiment’s history and covers from the 1st Gulf War back to the Opium Wars in China in the early 1800′s. 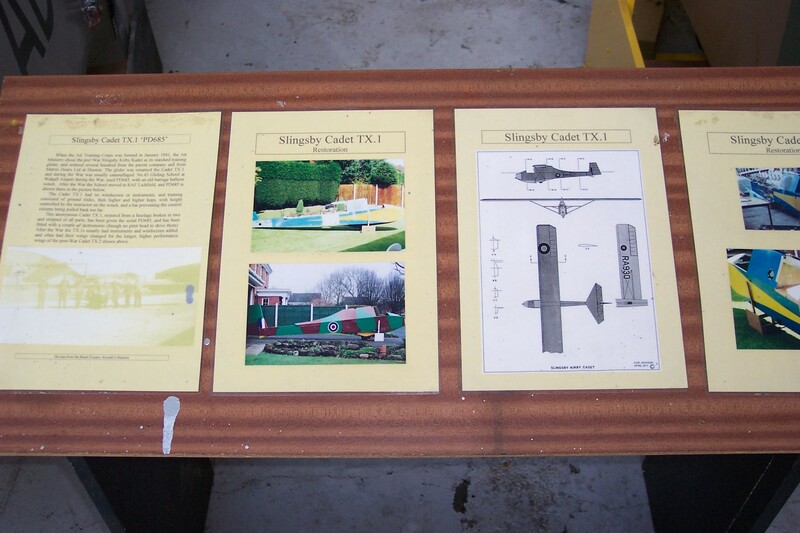 There are many artifacts in display cases along with models and dioramas of various actions. 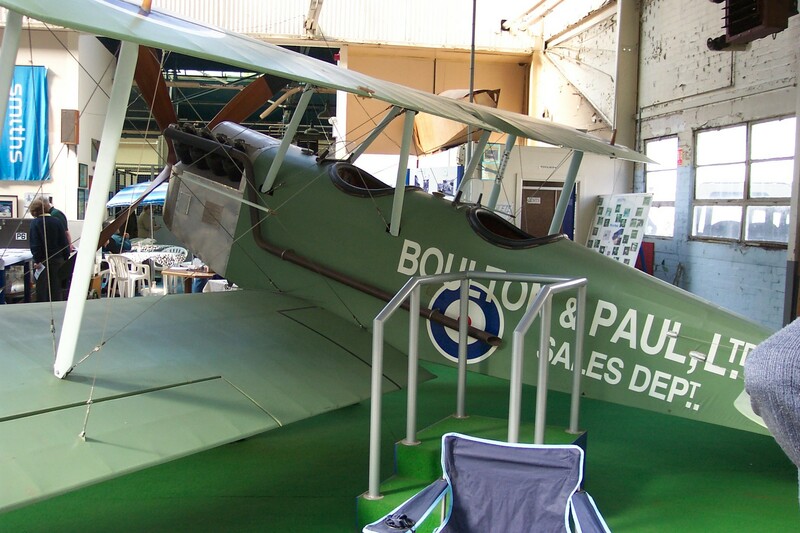 A couple of BSA folding para-bicycles, some heavy machine guns from WW1 and a number of dummies dressed in various uniforms of the period are also on display. 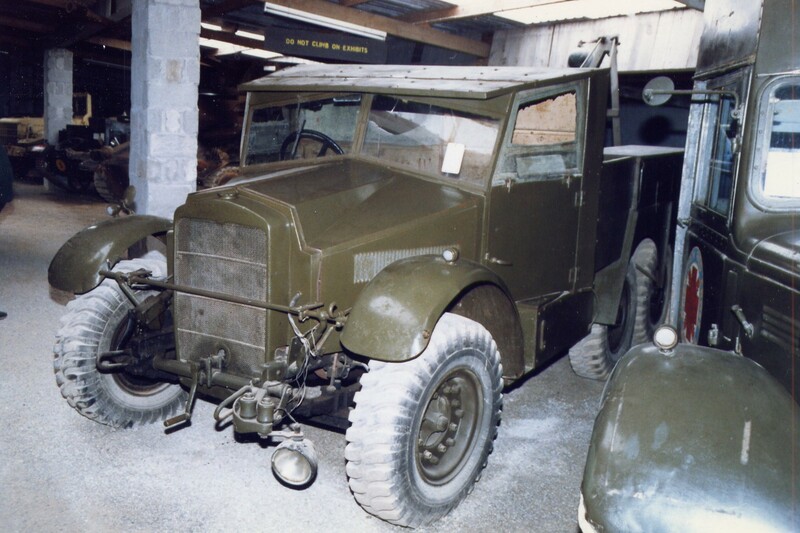 Major Robert Cain of the South Staffs won a VC (Victoria Cross) at Arnhem in 1944 and the actual Dennison jacket he wore in the action is on display. 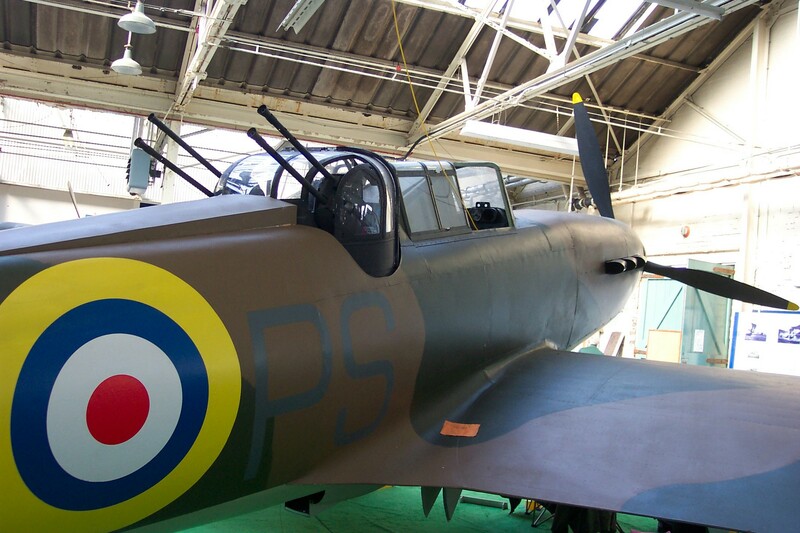 As an aside, he was also the father-in-law to the TV presenter Jeremy Clarkson. 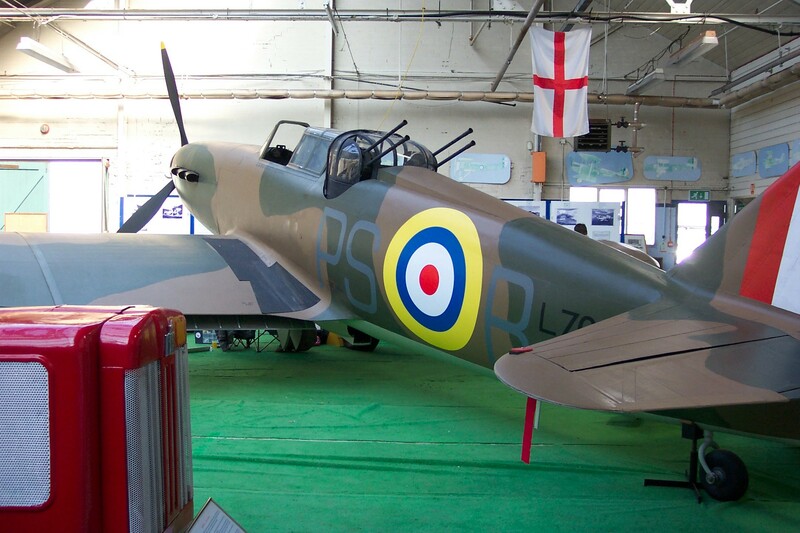 It’s certainly worthwhile a visit to the museum, probably on a more sunnier day than when I went. 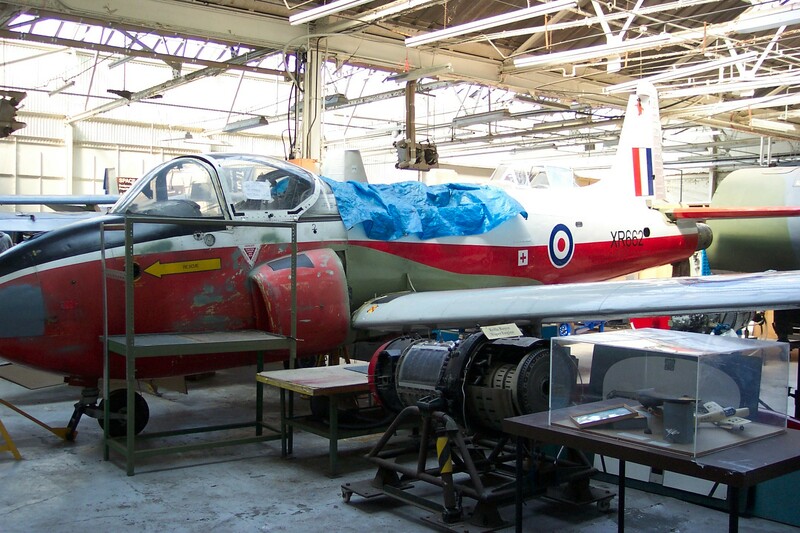 Chatting to one of the staff about the T16 Carrier and any plans to bring it under cover, he replied they were trying to find a engine to get it working again for open day events, but I got the feeling that funds were tight and extending the building to bring it indoors was just a dream. 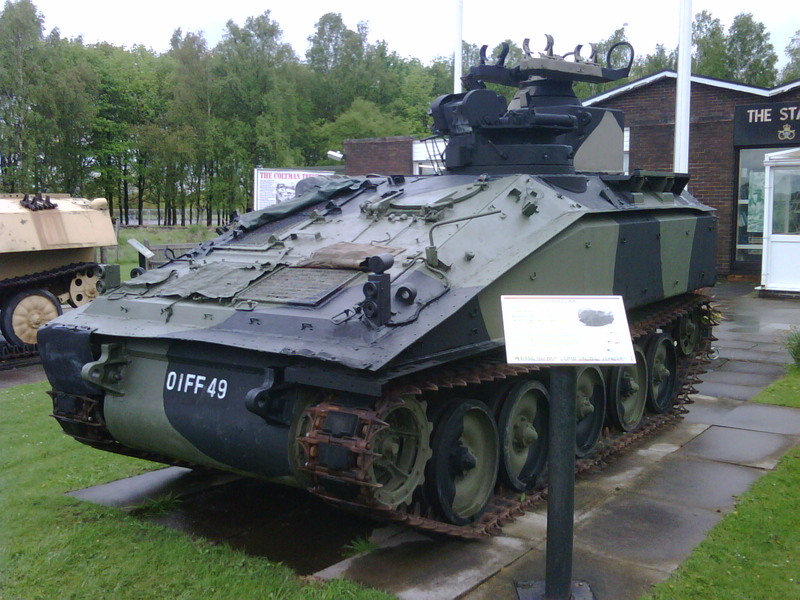 It’s such a shame to see this old warrior left out in the elements to just rot away in time. 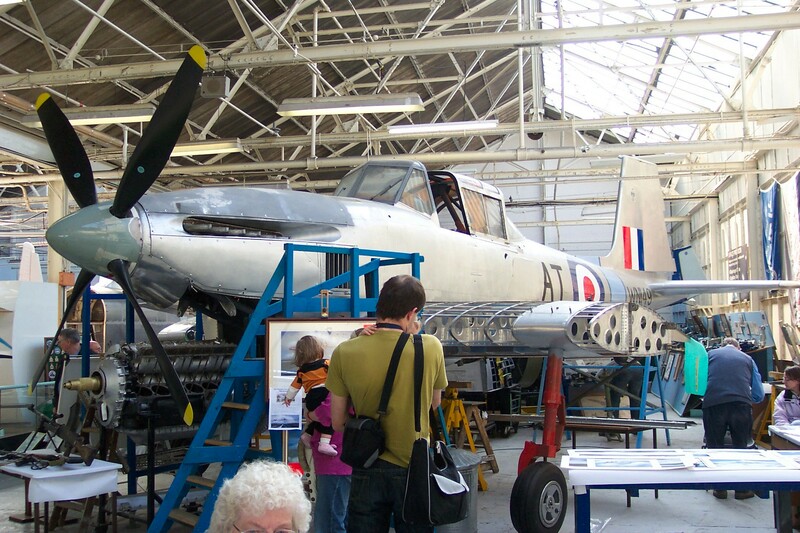 The museum was created by the late Charlie Mann, I think in the late 1970′s. 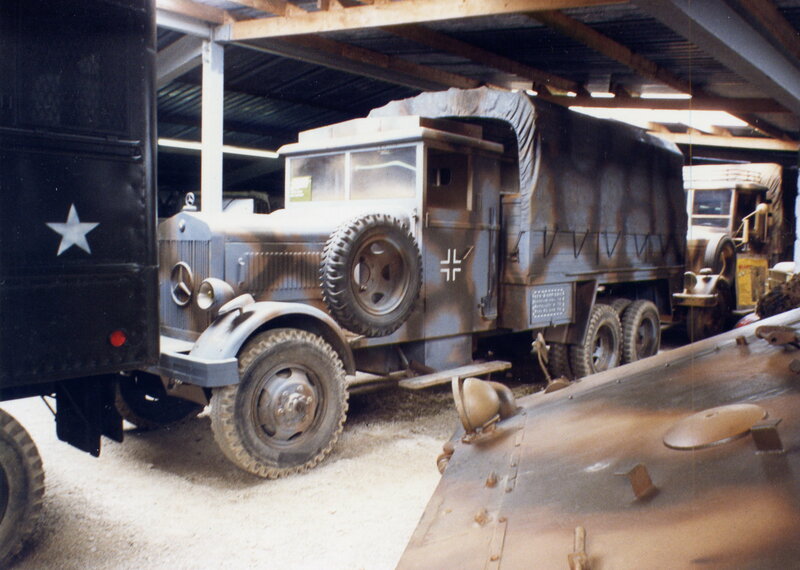 Charlie was a real character who I first met on the MVCG – as the MVT was first known as – commemorative tour of military vehicles to Normandy in June 1974, for the 30th Anniversary of the D-Day landings. 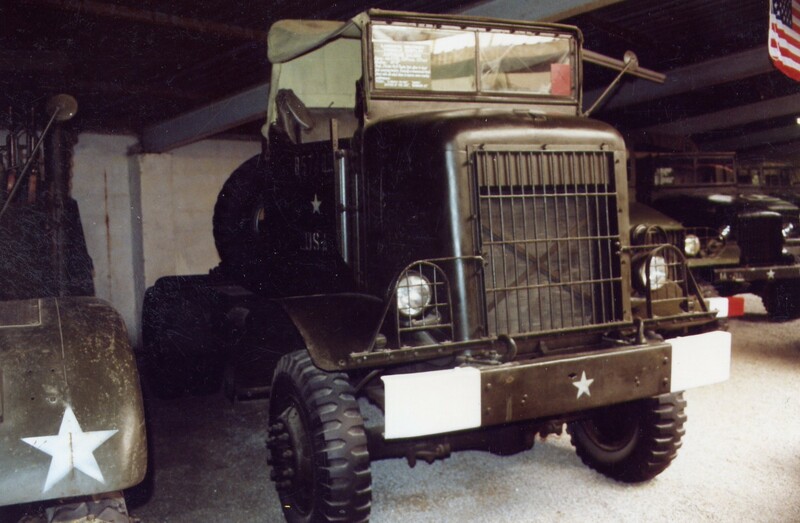 Charlie had amazed us all with his US Half Track and Bedford QL Trooper with army unit badges showing the map of Cornwall. 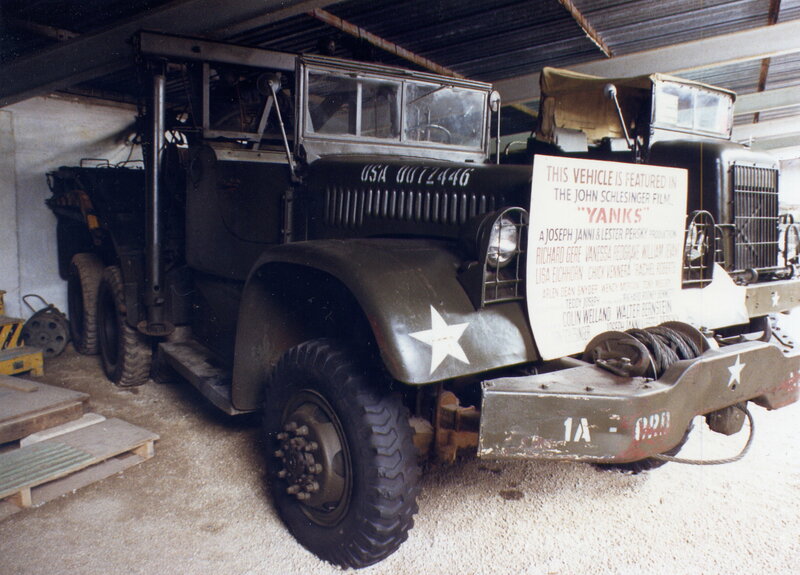 He was also the military vehicle advisor to the film A Bridge Too Far, made in 1977 telling the story of the Arnhem landings. 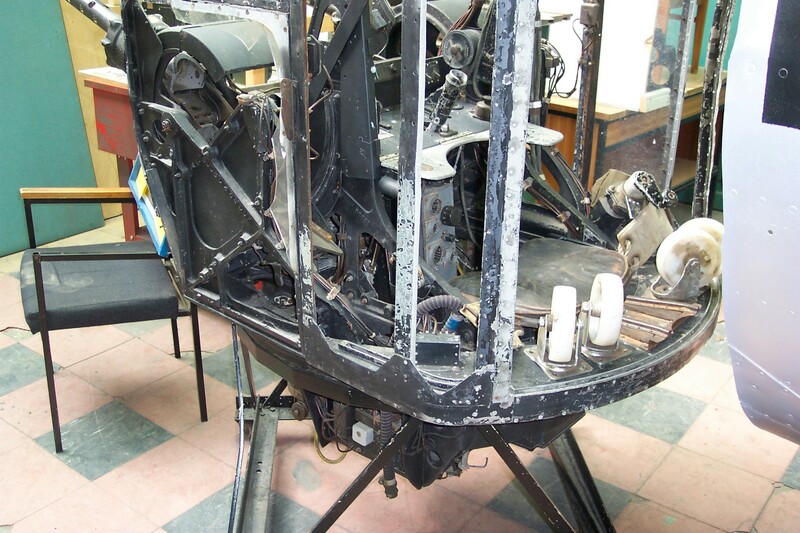 Following the film, many of the props used were bought by Charlie and used in his museum. 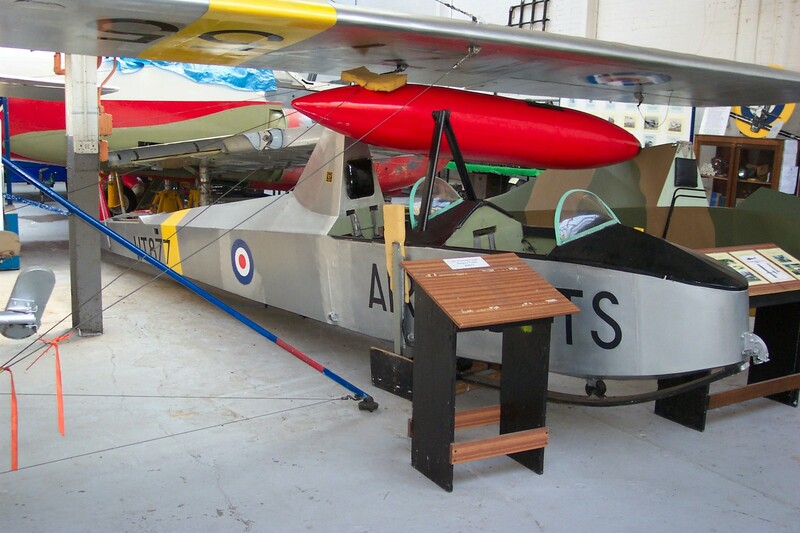 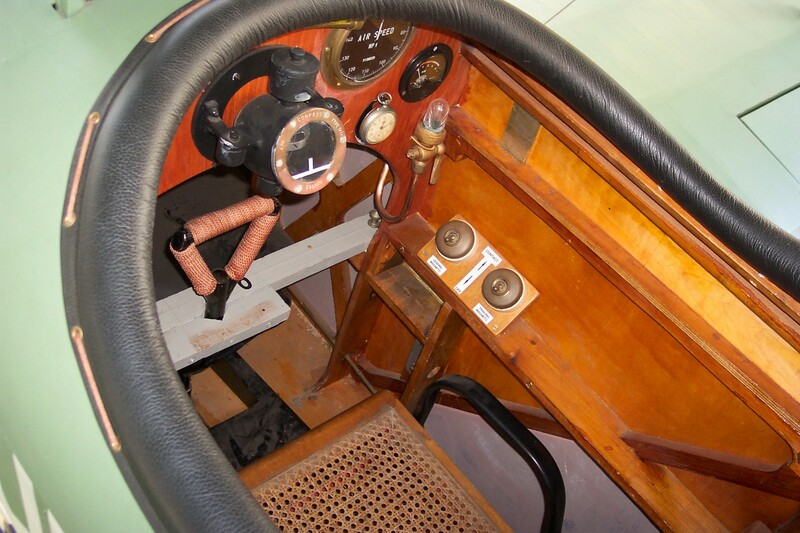 For example, look at the replica Horsa glider fuselage, which visitors can walk through, and also the flat bottom boats that Robert Redford rowed across the Rhine River in the film. 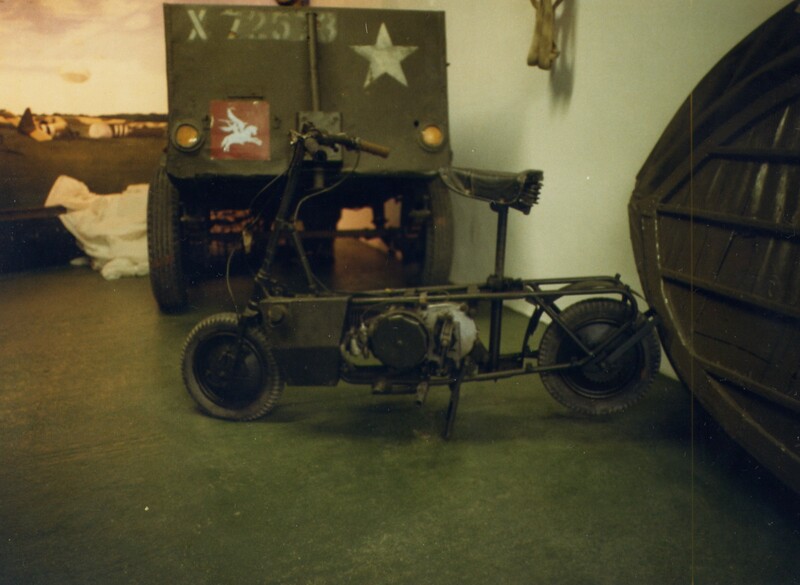 We visited the museum in July 1988 while on holiday in Cornwall and took the photos you see below. 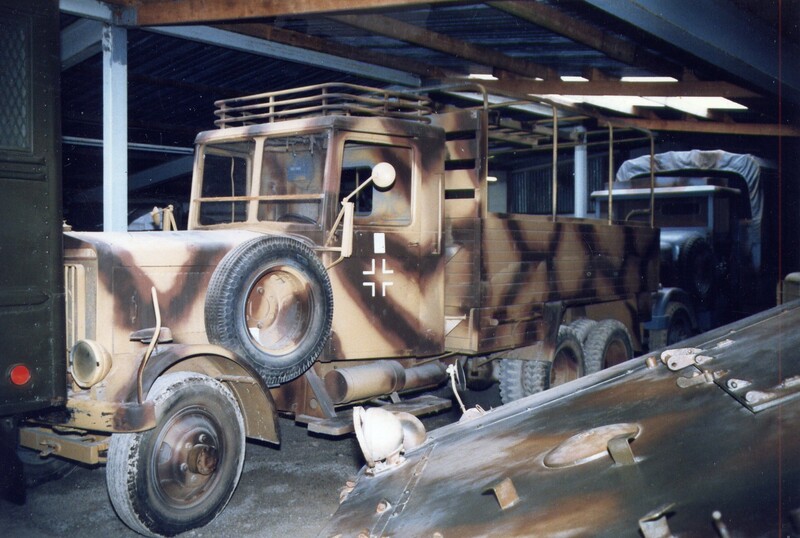 Have a close look at the ‘German’ trucks ! 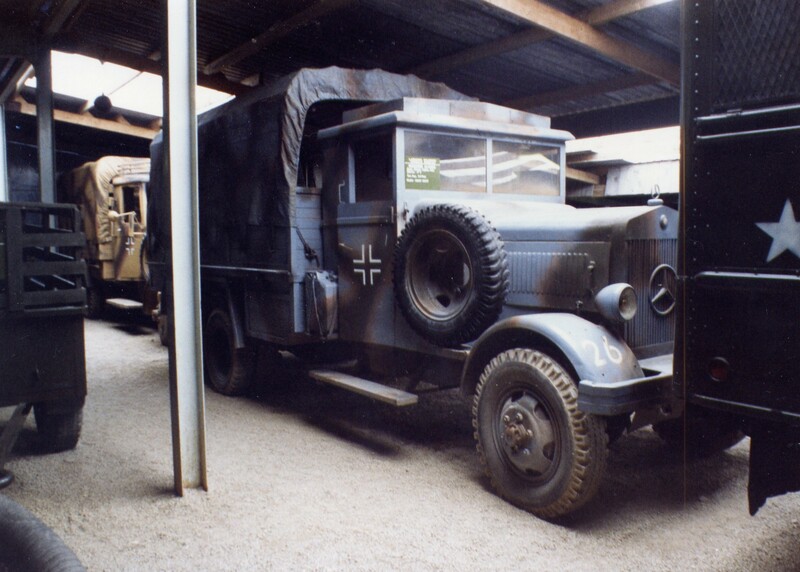 These were provided by Charlie for the film Raiders of the Lost Ark, with Harrison Ford. 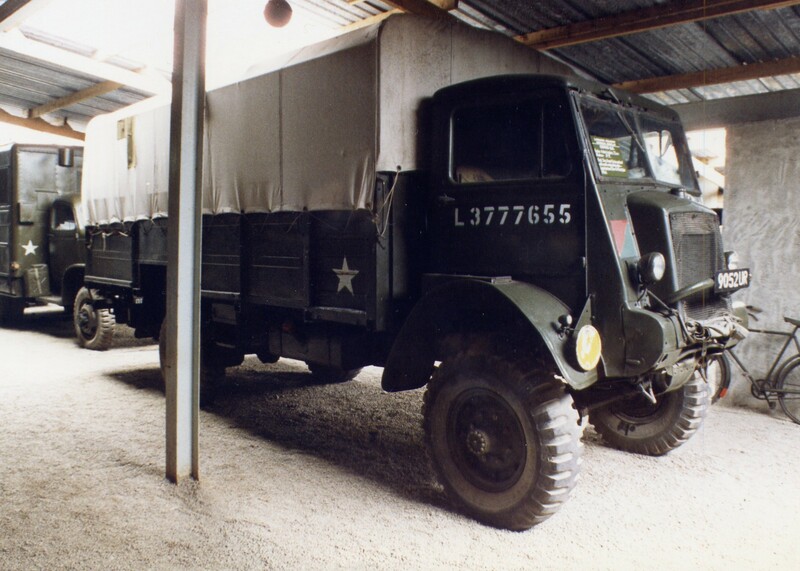 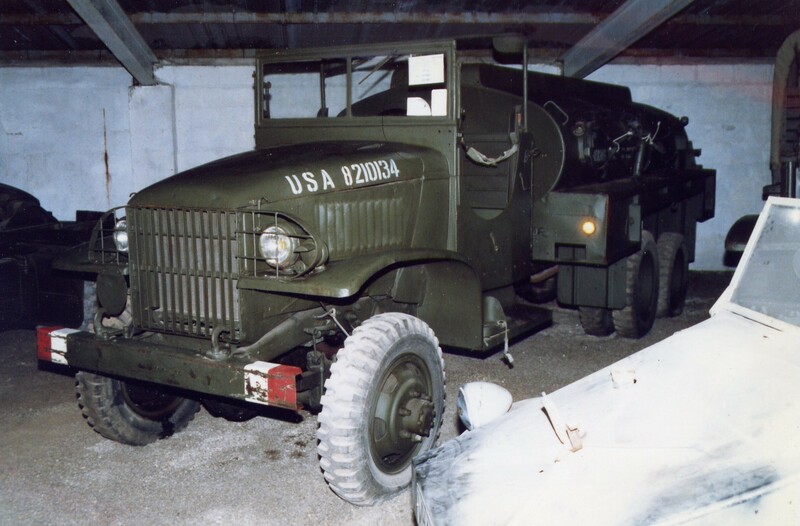 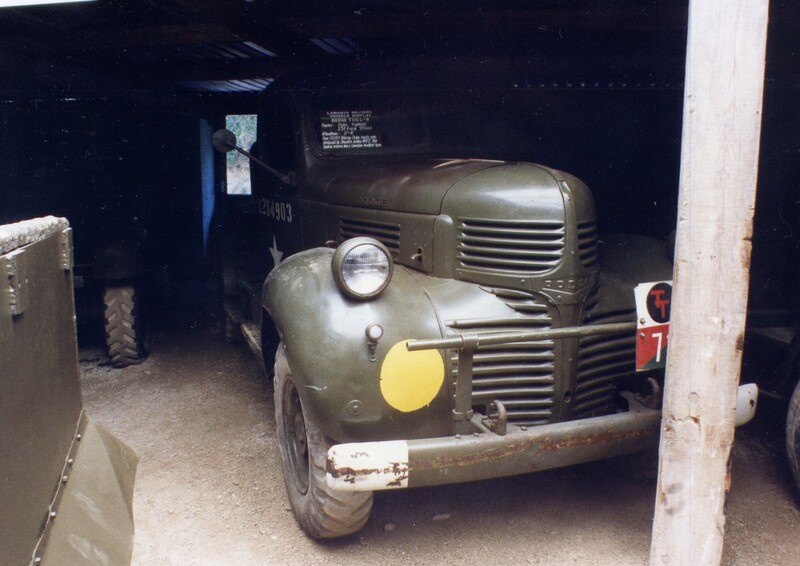 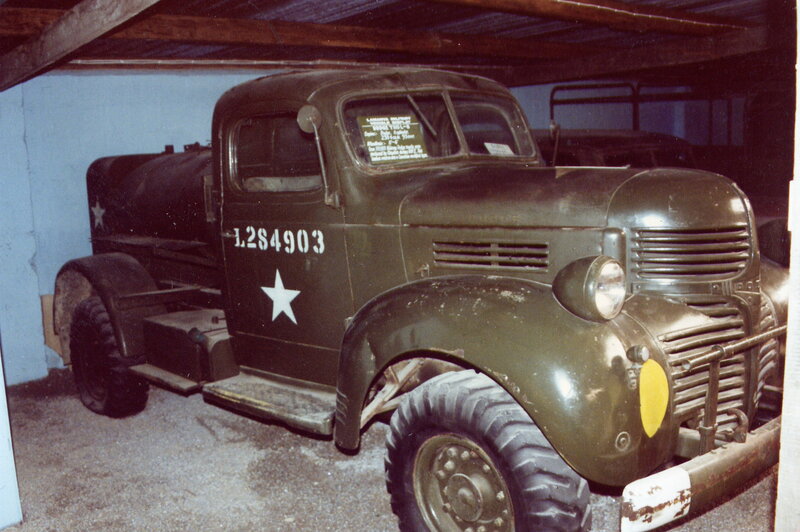 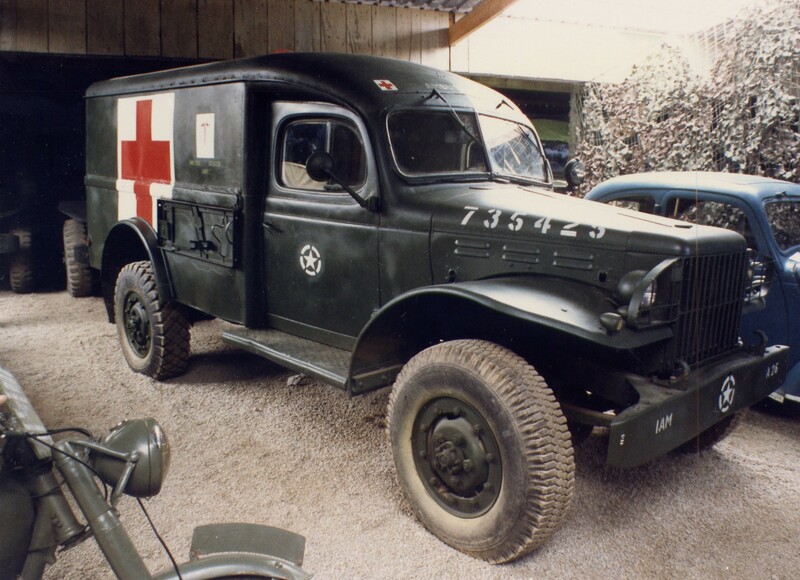 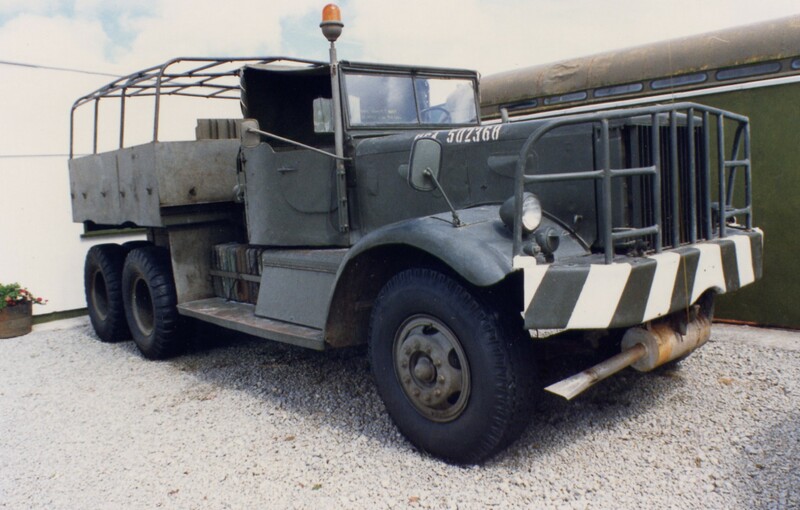 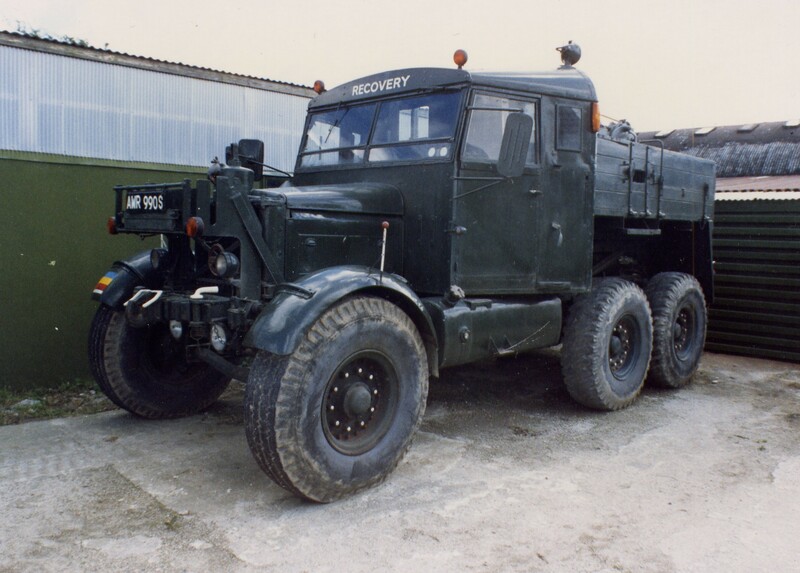 I seem to remember they were actually based on US GMC CCKW 353 6×6 Trucks ! 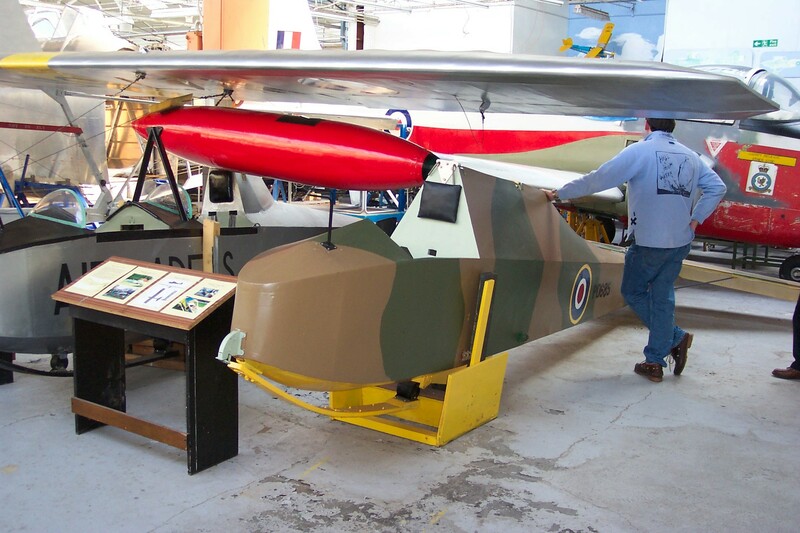 Sadly Charlie died in I think the late 1980′s and the collection was split up, so there’s no chance to visit the museum. 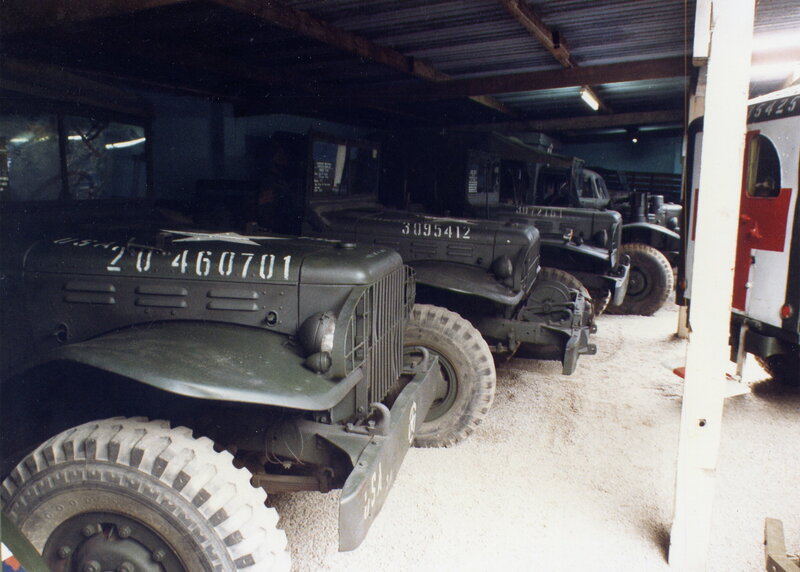 Some say part of the collection was bought by Flambards Experience also in Cornwall. 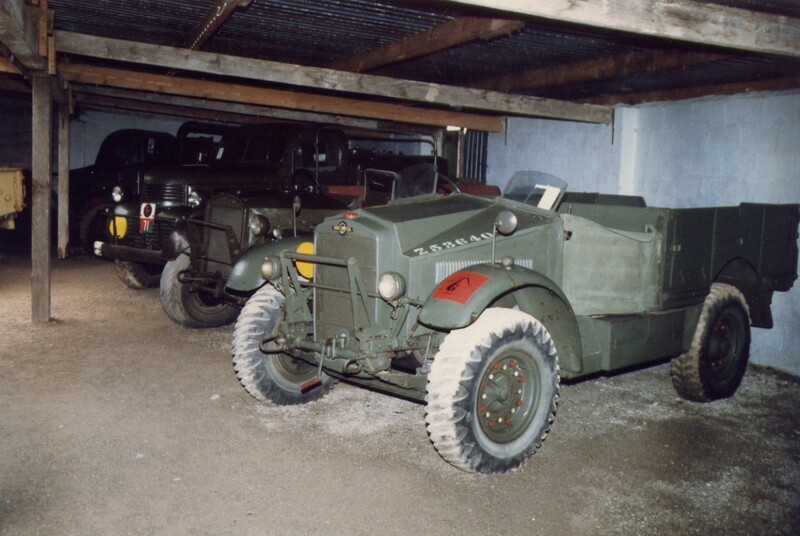 I noticed however that the Scottish Military Vehicle Group list their Dodge WC-51 Weapons Carrier as being ex-Lamanva, so there may be other vehicles from the collection out there somewhere. 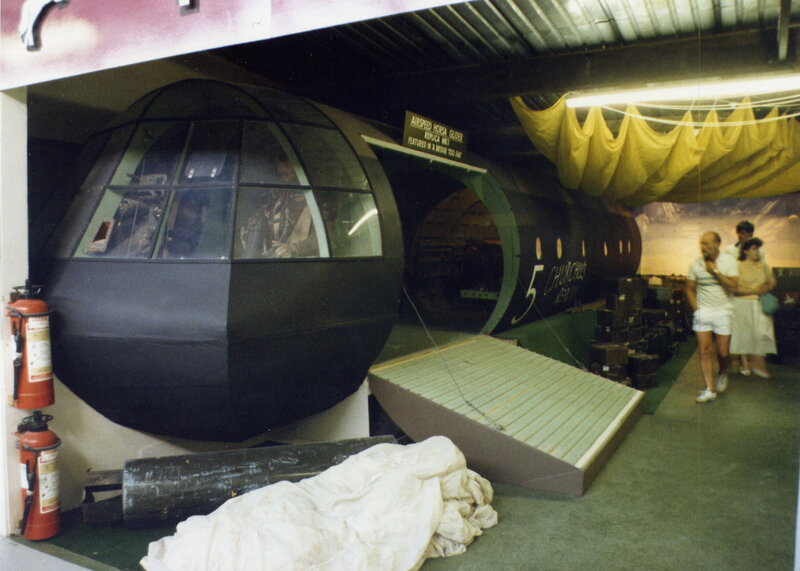 I wonder what became of the Horsa glider section ? 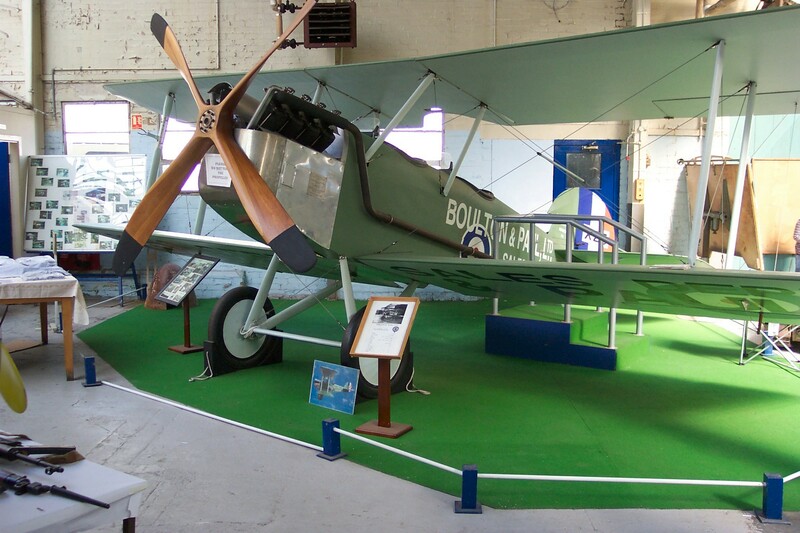 Boulton Paul had moved from Norwich to Wolverhampton in 1934 and set up a purpose made factory to produce aircraft. 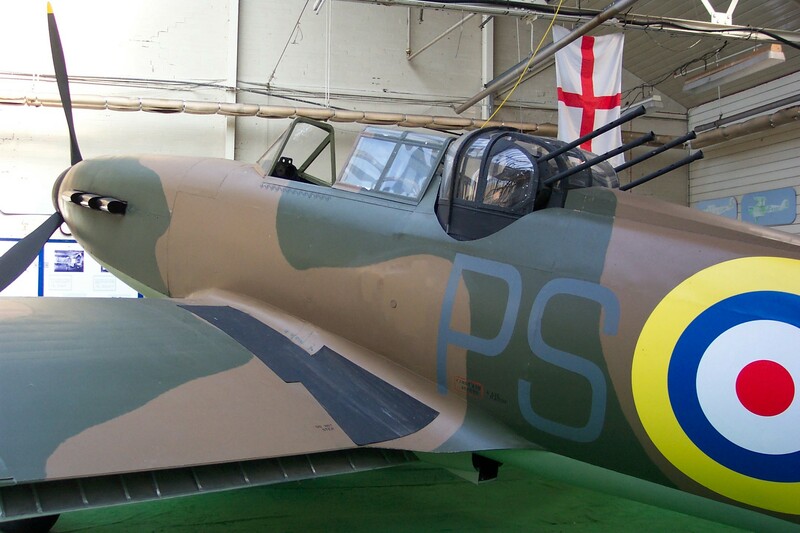 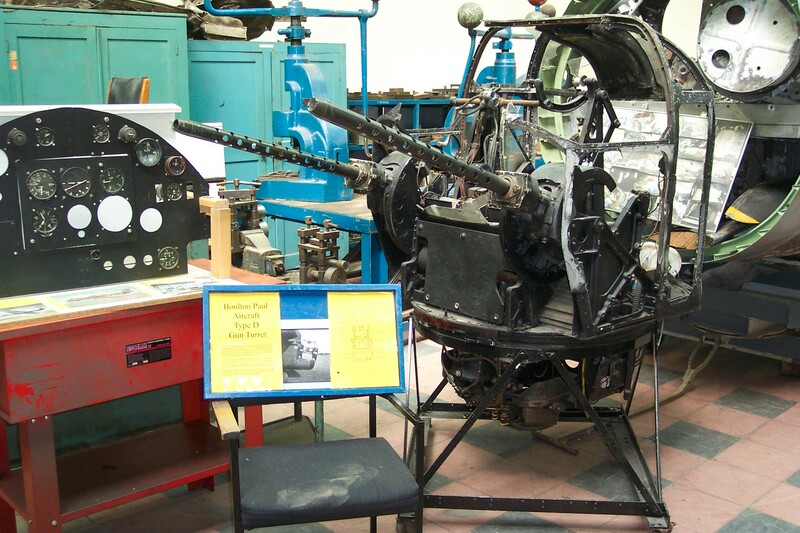 The Defiant aircraft produced during WW2 was unique in that it was single engineed but with a turret in the fuselage behind the pilot. 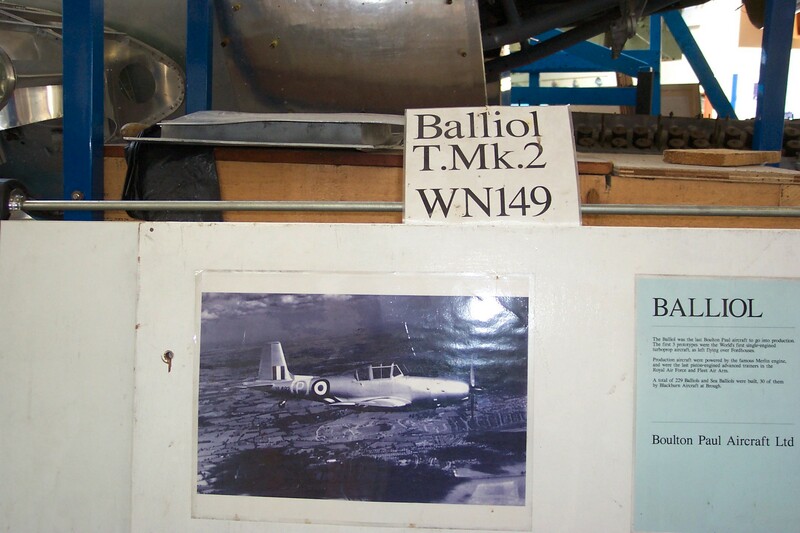 The company was also famous for producing many of the turrets used in WW2 bombers such as the Halifax. 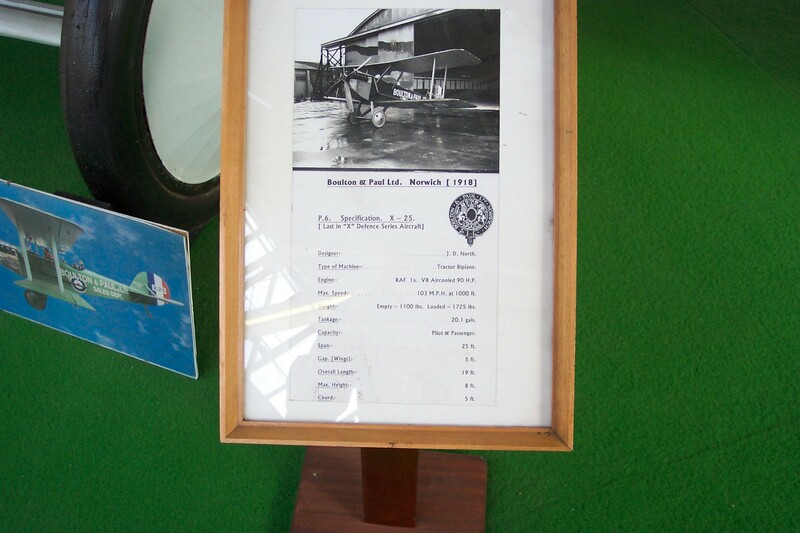 Over the years, the company changed hands and is now owned by the American GE Aviation. 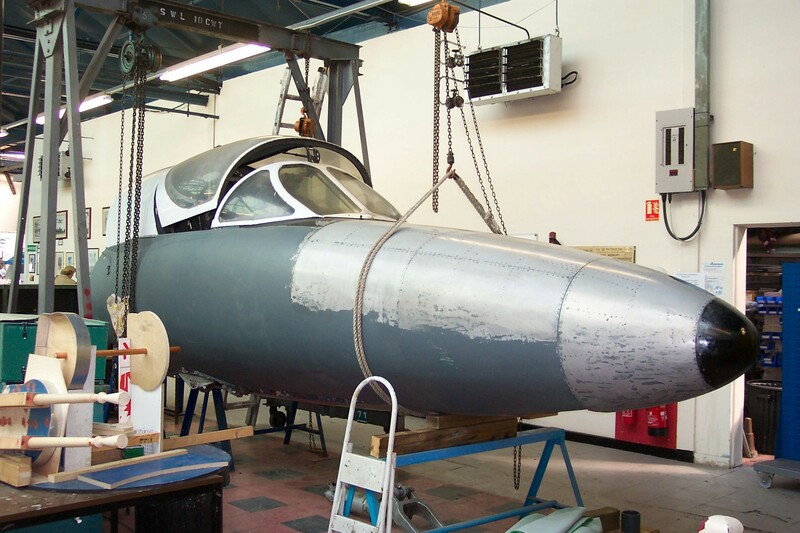 One chap today told me that when they bought the company from Smith’s Aerospace in 2007, they didn’t know about the museum but had a very pleasant surprise. 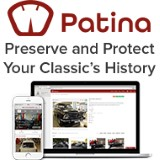 Now they are very supportive and are proud to have part of the company’s history on their site. 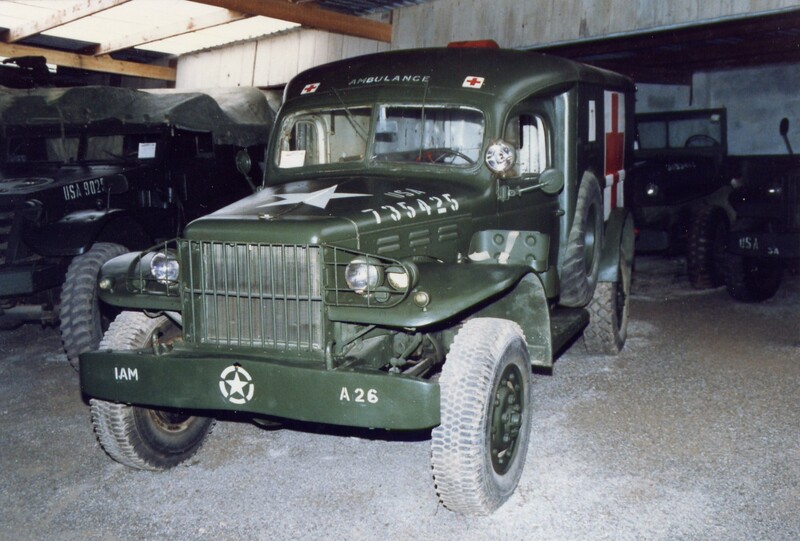 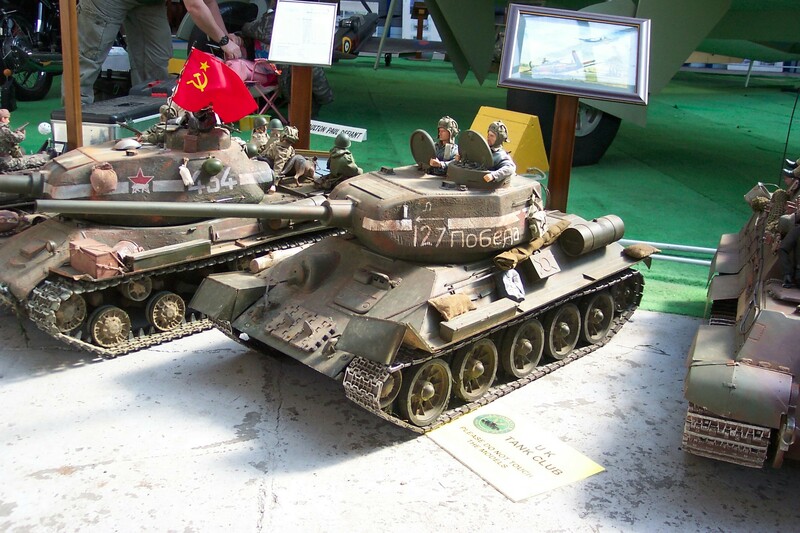 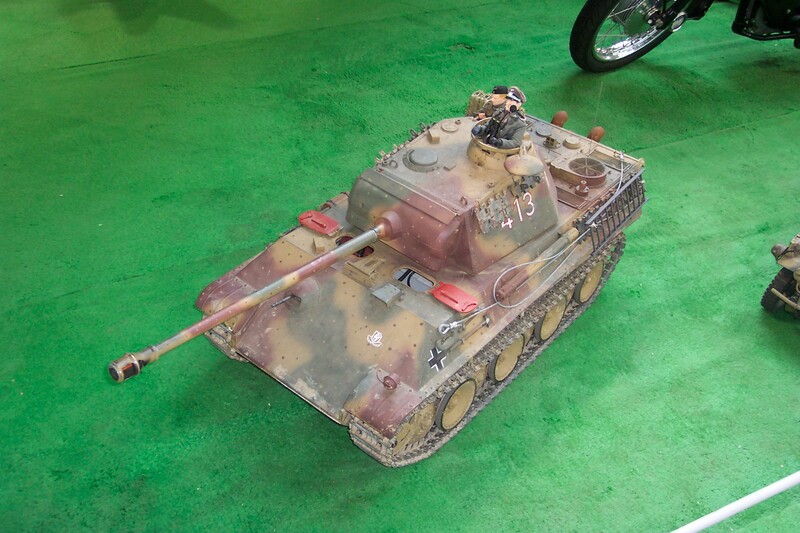 You are currently browsing the Military items | Military vehicles | Military trucks | Military Badge Collection weblog archives for the 'Museum Visits' category.